The sales of electric vehicles are expected to grow rapidly over the next years. Although home charging is perceived as the cheapest and most comfortable option, more than two-thirds of households in the Netherlands do not have access to private parking. Scaling up public charging infrastructure is thus a necessary development in the transition to emission-free mobility. 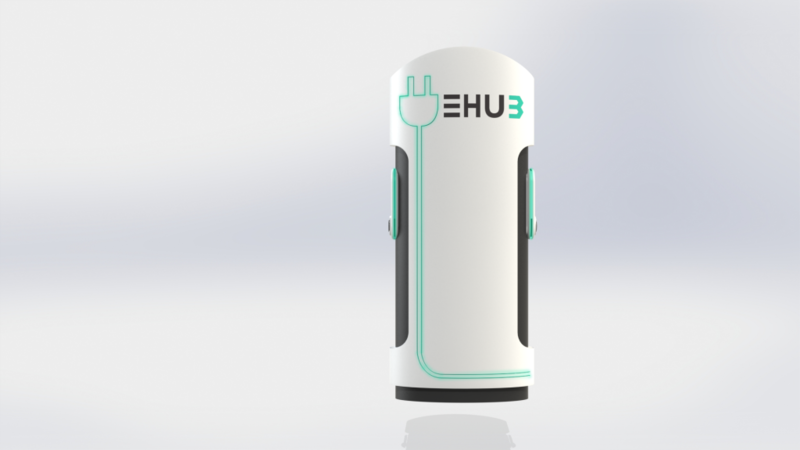 Within the E-Hub project multidisciplinary cross-university student teams work on relevant topics in the field of charging infrastructure that come directly from the field. The E-Hub brings together a mix of experts to create a system solution by generating findings that would have been less obvious when focussing on the smaller parts of the system. The E-Hub collaborates with The Green Village. The Green Village is a test environment at the TU Delft campus where researchers, students, big and small businesses and visitors together solve the challenges of a sustainable future. The collaboration with The Green Village is mainly aimed at realizing a modern charging facility on the TU Delft campus.